This summer, introduce your kids to coding and computer science at one of Launch Code After School's summer camps! Launch’s classes are collaborative and creative with project-based curriculum that allows students to take ownership of their learning as they experiment with game development, drones, design and more. Concepts learned at Launch are immediately applicable and exciting. If you're unsure what camp to enroll your child in, see what the Best Tools and Languages for Kids Learning to Code are. Launch offers full and half day sessions in the mornings and afternoons. 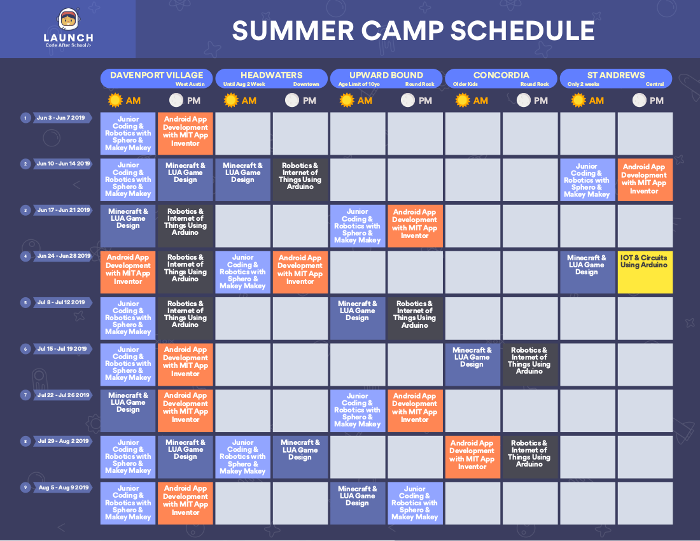 Mix and match one week camps to create the perfect summer schedule. Five locations are available throughout the Austin area. See all Launch Code After School summer camp offerings and locations here. 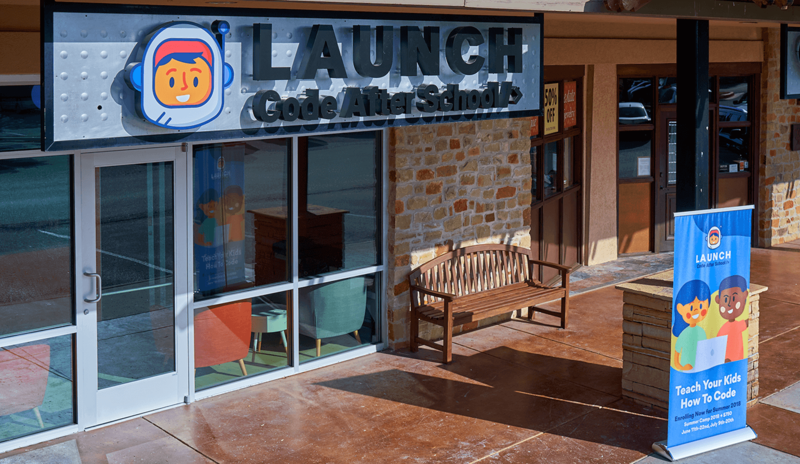 Launch Code After School is offering a giveaway for a half day summer camp, valued at $299. Complete the form below by 9 am CST on Saturday, April 20, 2019. The giveaway is valid for 2019 summer camps only. The prize is non-transferable and holds no cash value. Looking for a spring break or summer camp in the Austin area for you child? The 2019 Camp Guide features over twenty camps, from coding to dance, overnight options to jewelry making and rock climbing! Transform your child's love for technology and video games into an exciting learning adventure. Code Ninjas Camps offer an immersive environment for kids ages 7–14 to explore and develop new skills, gain confidence, and have fun with friends. It's an unforgettable experience! 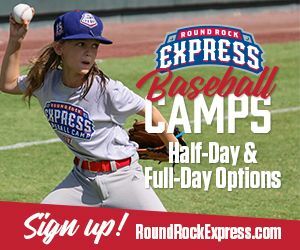 Our Austin-Area locations, including Cedar Park, Pflugerville, Round Rock and South Austin, offer a variety of Spring Break and Summer Camps, including week-long, half-day and full-day options. 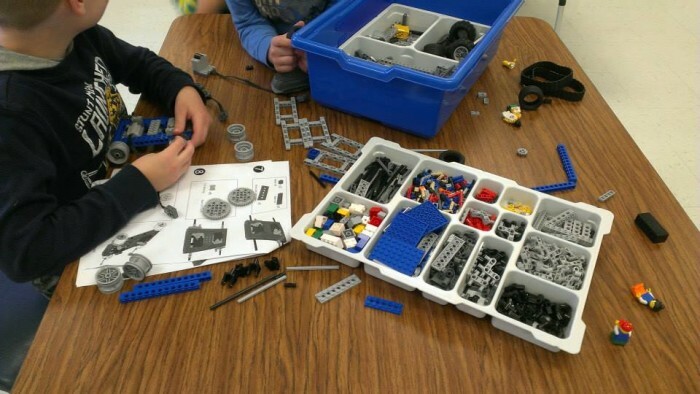 There's a STEM Camp for every interest and every budget. Visit www.codeninjas.com and find your your nearest center to learn more and register! Discount: Register now to save 15% with early-bird discounts! 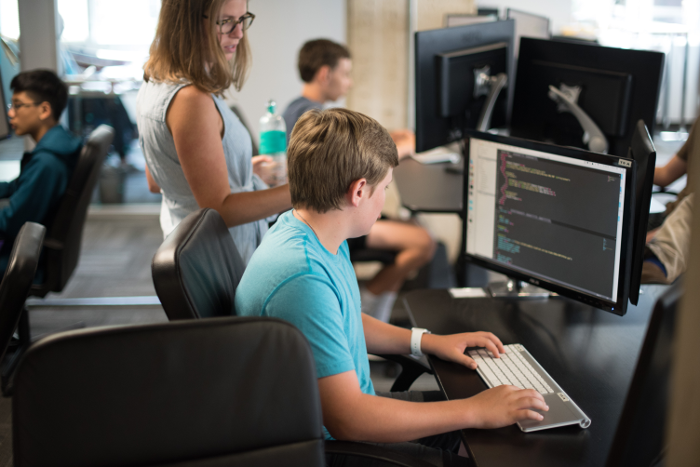 The Coder School is Silicon Valley's #1 kids coding program brought to Austin, offering camps for ages 7–18 covering a wide range of exciting topics, ranging from Scratch and Python to robotics, AI, and web development. 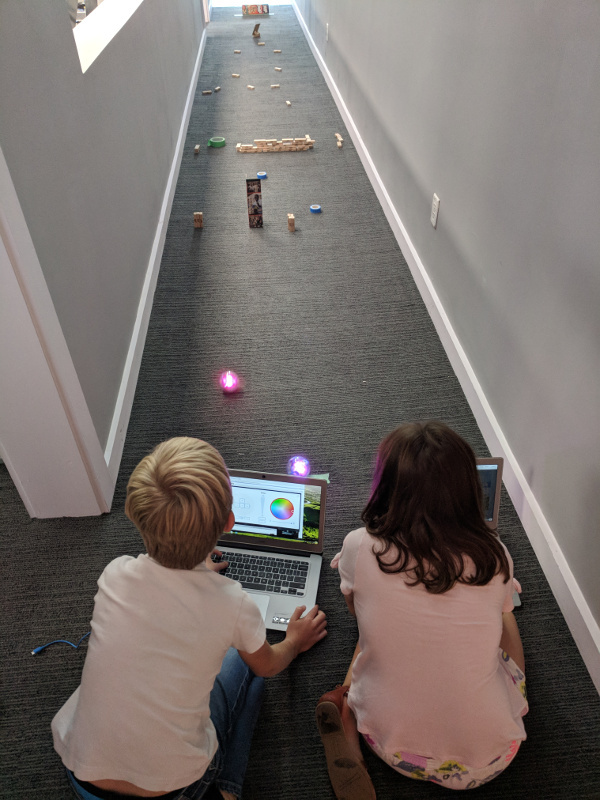 While we’ll do lots of on-computer learning, we’ll also take plenty of breaks, get some physical motion by heading outside (weather permitting), and even do some cool offline coding exercises! 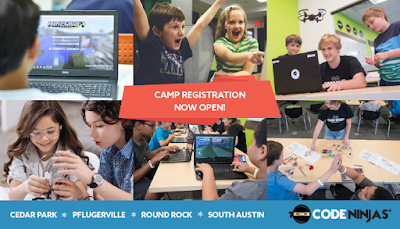 All our camps are held at our facility and leverage goodies from our year-round programs to create a uniquely collaborative environment where the kids work together, code together and have a rockin’ fun summer together! 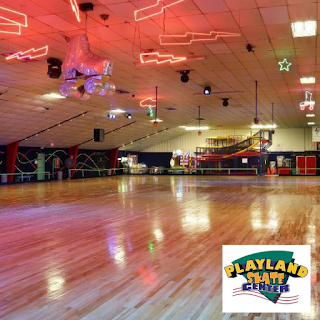 Our extremely popular Summer Camp Program includes our incredible facility, Kids’ Choice Special Interest Clubs, regularly scheduled field trips to swimming, skating, bowling, and movies, as well as special field trips to a wide variety of exciting local destinations. Our highly successful, reward-based Reading Program encourages academic exercises throughout the summer, while our wonderful facility affords us the opportunity to explore various themed rooms. 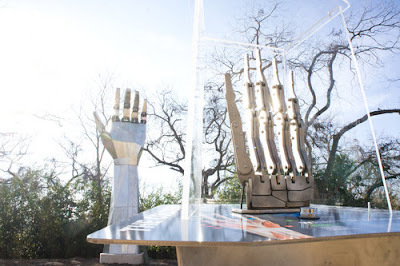 Each area encompasses unique opportunities and equipment for challenging “hands-on” learning and fun exploration. Our children spend fun-filled days on the move participating in activities that stimulate their creativity and spur their imagination! Ages: 5 (must have completed kindergarten) –13 years of age. We also offer our regular program for children 6 weeks to 5 years. 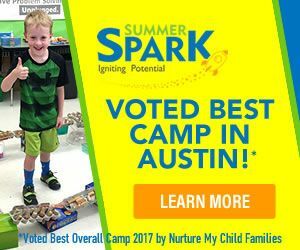 Winner of “Best Camp” in the Austin Chronicle’s 2017 “Best of Austin” poll, Creative Action offers fun and engaging arts-based camps for ages 5–11. Led by experienced staff, our camps are offered at three convenient locations in Austin. For ages 5–7: With a variety of themes to choose from, our one-week camps build creativity and confidence. These camps are designed to be active, inspiring and fun! For ages 8–11: Our two-week academies are small in size to foster the development of this specific age group. Campers work closely with professional artists and go deep to master new art skills. 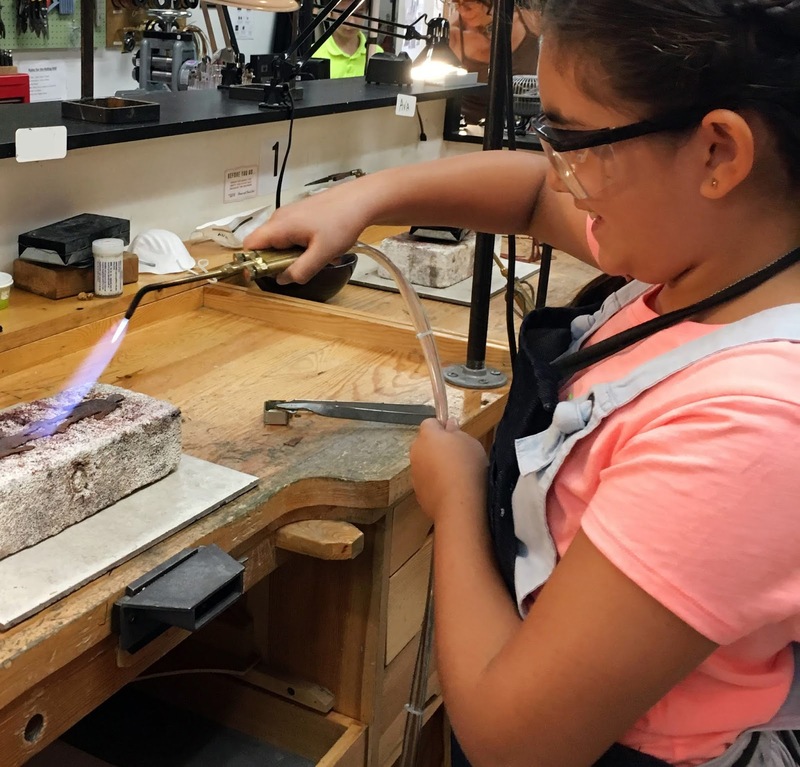 Creative Side Jewelry Academy, the top jewelry crafting and metalsmithing school in central Texas, offers Spring Break Camp and week-long Summer Camps. 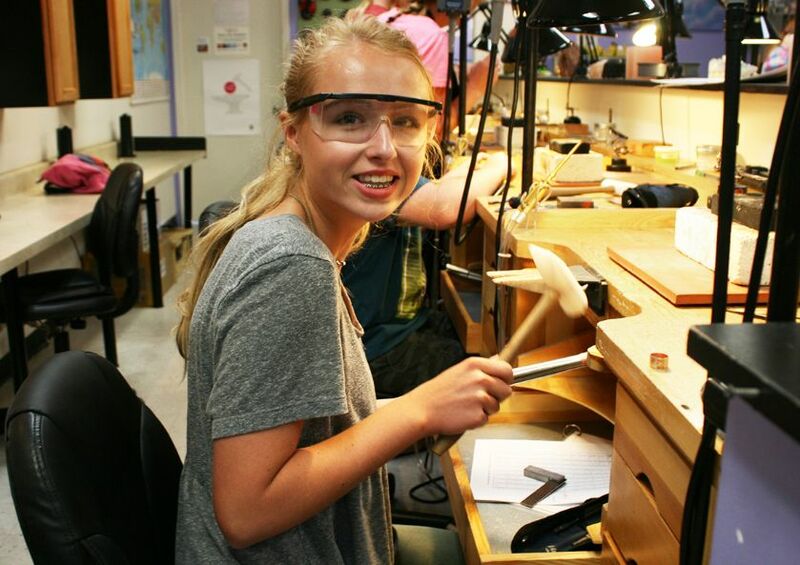 These camps provides a safe and creative environment where kids and teens have the opportunity to learn fundamental metalsmithing techniques using copper, brass and silver. The camps are led by professional artist and educator Lindsay Sanchez. Under her guidance, students will increase fine motor skills while learning to make sculptural jewelry pieces. They will learn sawing, soldering, filing, hammering, drilling and much more. Students will create multiple jewelry pieces throughout the week and be encouraged to develop their own design skills. Creative Side will host an end of the week art show where parents and family will be invited to join at the end of the day on Friday to meet the instructors and new friends, and view their child's artwork on display. Dates: Spring Break Camp: Making Connections, Mon–Wed, March 18–20, 10 a.m. – 2 p.m.; Summer Camps: The Torch, Mon–Fri, June 24–28, 10 a.m. – 2 p.m.; Copper Etching, Mon–Fri, July 15–19, 10 a.m. – 2 p.m.; Metal Casting, Mon–Fri, July 29 – August 2, 10 am. – 2 p.m.
Get ready for the most exciting weeks at Crux Climbing Center! Crux Crushers Camps will provide youth with a safe environment to explore their skills in rock climbing while making new friends and building confidence. On top of it all, campers will participate in yoga, crafts and fun games! Cost: Ages 6–9, $225 (members) and $275 (non-members); ages 9–12 $300 (members) and $350 (non-members) because of the extra hours. 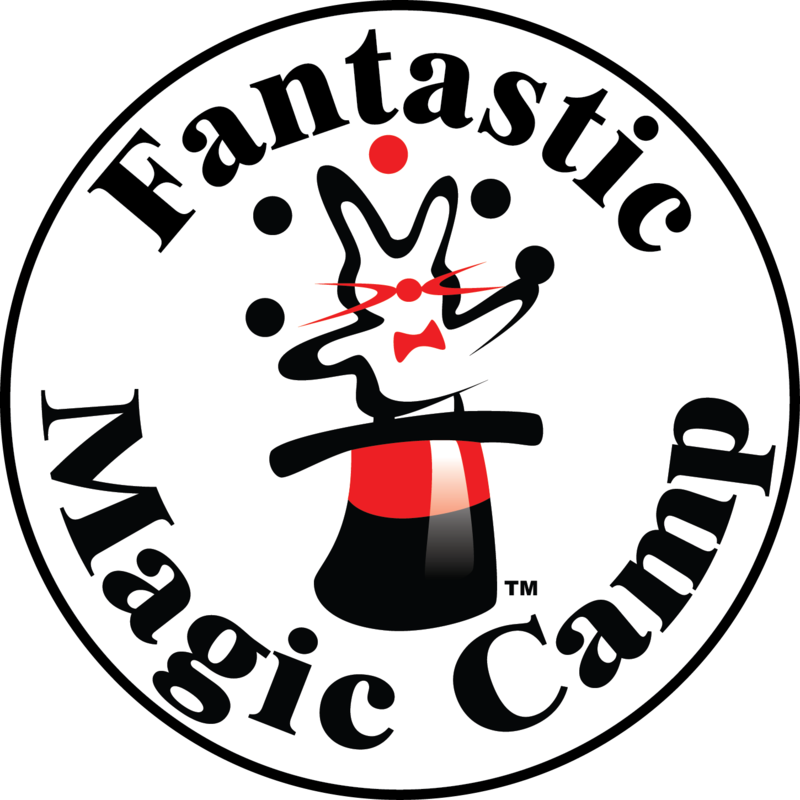 Every day at Fantastic Magic Camp is filled with fun, adventure and discoveries. We open every weekday at 8 a.m. for the arrival of campers, and the program starts at 9 a.m. sharp. Each day includes classes in magic, juggling, puppetry, and other variety arts, as well as a live magic show by some of Austin's best professional magicians. Our day ends at 4 p.m., and pick up time is 4–4:30 p.m., but for those who wish to stay longer, we offer an optional “Rehearsal Time,” running from 4–6 p.m., where campers can practice what they have learned that day with assistance and supervision from our counselors and staff. "This is the only camp that I've seen where my child embraced the creative process as well as social activities with confidence." "Weeks after the camp my 6-year-old is still trying to impress us with magic tricks. He is now using his imagination to come up with new tricks. This camp gave him a sense of control he had not previously tapped into." With a brand new campus opening in North Austin for summer 2019 (8620 Burnet Rd. ), the Idea Lab is a tremendous youth enrichment option for STEM Summer Camps. In addition, we operate out of several well-established schools and facilities, and we are continuing to grow with every year. At Idea Lab, we believe in a hands-on approach to learning. Our instructors teach through experience, and the difference is evident in the way our students excel at the academic level. Our camps are truly unique, and our weekly themes lead to a unique experience daily! Imagine traveling the globe with a circus troupe, meeting friendly pirates, dining with princesses and princes, studying the great works of the Renaissance, and of course, trekking your way through the thick leaves of a tropical rain forest. Grab your passport and join Jeremiah Frog as he embarks on another adventure. Camp Jump! offers one-week half, full and extended day opportunities for children to explore their imaginations through theme-based curriculum featuring gymnastics, art exploration, interactive centers, social integration, dramatic play, yoga, music and dance. 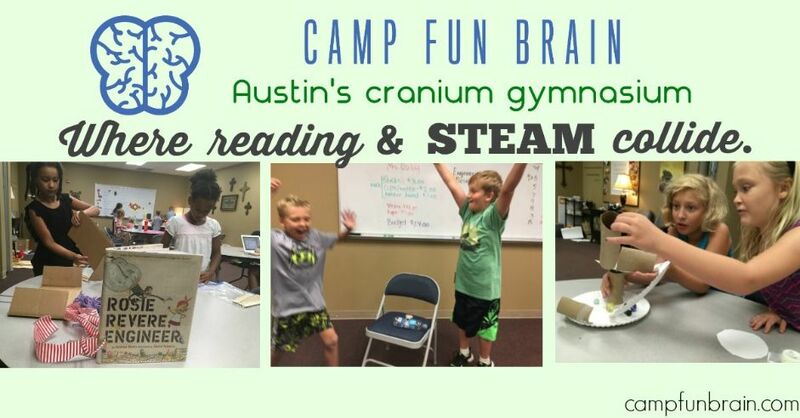 Voted Austin Family Magazine’s Most Fun Camp four times. Come find out why! Welcome to Kidventure Camp 2019 and the opportunity to part of a unique summer camp tradition. 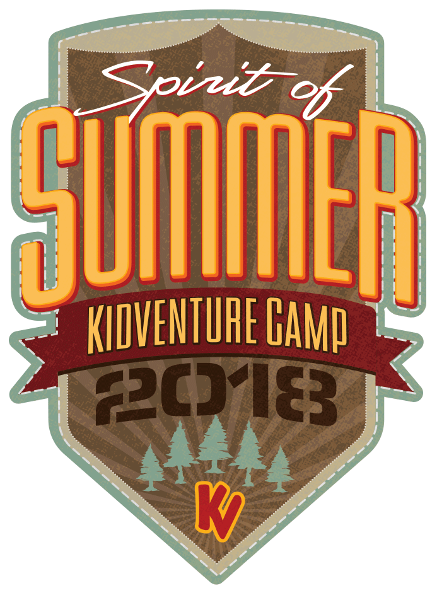 We’ve taken the very best of 24 years of Kidventure Summer Camps and are throwing a summer-long bash you’re invited to be a part of. Come celebrate a summer filled with old favorites, new friendships, and the opportunity to be a part of something very special. 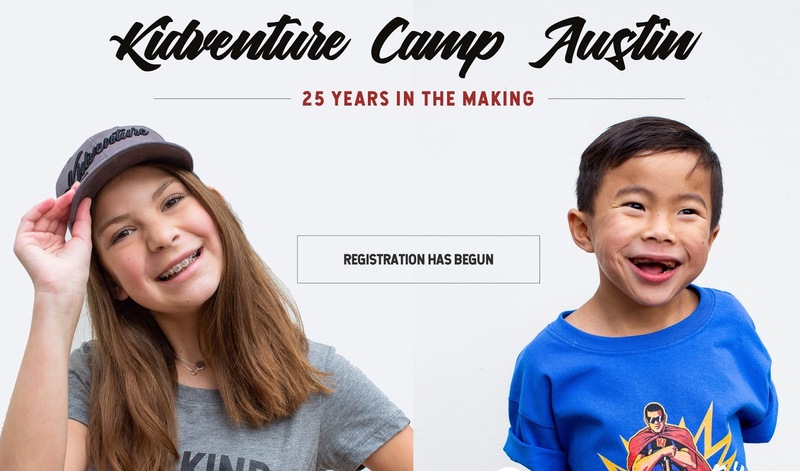 Kidventure provides summer day camp programs at four outstanding locations around the Austin area for kids ages 3–12, including Westlake, Lakeway, Sweetwater and Steiner Ranch! Discount: $100 on any overnight summer camp with code "love camp" at checkout. At Launch Code After School, we make coding fun for kids ages 7–14. Our students learn basic to advanced coding and technology skills, giving them 21st century tools for creative expression. Our in-person classes and camps provide a collaborative and inclusive environment to launch your child ahead with the skills and habits of mind needed in the age of technology. Courses offered include: Coding & Programming, Robotics & Internet of Things, Mobile App Development, Game Development, Graphic & Web Design. Go from Idea to Market Research to PROFITABILITY! In just one week, campers work together as a team to build a real start up business and bring a product to market. They learn how to make and appreciate money by starting their own business in a fun, kid-driven, interactive environment. And they get to keep all the money they make! It's a mini-MBA for kids. Ages: Youth 8–14 years; camps for teens in high school are also available. When your children can think creatively, work collaboratively and respond resiliently, they can do anything. At the Neuron Garage, kids discover their potential through open-ended, hands-on building projects. Our campers repurpose everyday materials to solve fun, weekly construction challenges. Our carefully selected, thoughtfully trained staff empower them to find solutions in a fun, collaborative atmosphere. 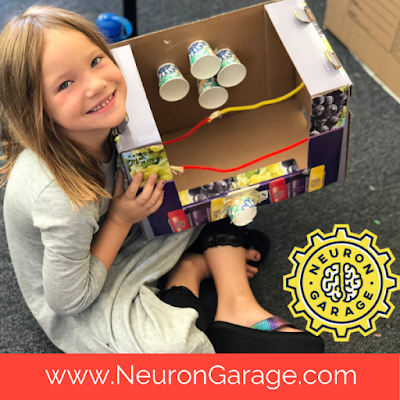 Join in the building fun this summer at the Neuron Garage, and build foundational skills for a vibrant and expansive future! We offer weekly camps for campers ages 5–12 from 8 a.m. to 3 p.m. with the option to extend the day until 6 p.m. Campers are divided into groups based on age and activities are tailored appropriately. Some campers come for just one week, while others experience the benefits of our program all summer long. We have locations in South Austin, Hyde Park, North Shoal Creek, Cedar Park and Round Rock. Neuron Garage (formerly Summer Spark) was founded by Kaylie Reed, a Montessori teacher, and Sam Reed, a serial entrepreneur. The husband-and-wife team has created a safe, supportive environment for hands-on learning, enhanced with best-practices Kaylie gleaned from studying neuroscience and education at Dartmouth and over a decade in the classroom. 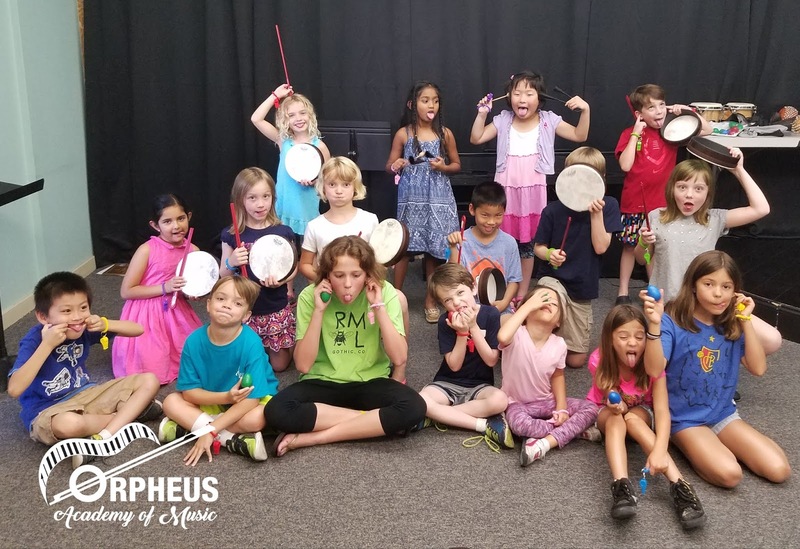 Dates: June 3 – August 9; 8 a.m. – 3 p.m. with extended hours until 6 p.m.
Join us for musical summer fun at Orpheus Academy of Music! Our camps provide an enriching experience for children of all ages and abilities. With experienced, degreed teachers, new activities every 30 minutes, and a variety of camp choices, you’ll have the most rewarding adventure of the whole summer! Music Through Movement (ages 4 and up): Develop your inner artist in this camp that utilizes teaching techniques from music conservatories around the world! Engage with music through improvised movement, singing and group collaboration to grow musically and socially! World Music (ages 4 and up): Learn the songs, instruments and customs of different countries! Learn vocal techniques, rhythm, listening skills, pitch and harmony by making and listening to music from different cultures! Broadway Musicals (ages 6 and up): Learn to sing, dance and act using the best scenes from American Broadway. Practice auditioning techniques, perform in small groups, and show off everything you learned at the end-of-week performance! Intro to Piano (ages 6–9): Spark your passion for piano by discovering basic techniques and learning to play a few short pieces in just five days! For students who think they might be interested in piano lessons, this camp will help you decide! Intro to Guitar (ages 6–9): Spark your passion for guitar by learning to play a few short pieces in just five days! Guitars will be provided during the camp so students can try out the instrument without any upfront investment. For students who think they might be interested in guitar lessons, this camp will help you decide! Piano Orchestra (ages 8–18): Be a part of this one-of-a-kind ensemble experience made entirely of electric pianos! Classes in improv, group rehearsals and mini private lessons make up this unique camp. Guitar Orchestra (ages 8–18): Experience the joy of playing guitar surrounded by other passionate guitarists. Fast-moving classes every half-hour keep you engaged and learning to maximize your fun! Composition & Improvisation (ages 8–18, at least two years of experience required): Learn through creating our own music! Explore your full potential as a creative musician by working with outstanding composers and jazz improvisors. Bring your compositions to share or let us help you get started with something new! Movie Music Ensembles (ages 7–18, at least two years of experience required): Learn some of the most memorable and moving music ever written from your favorite films! 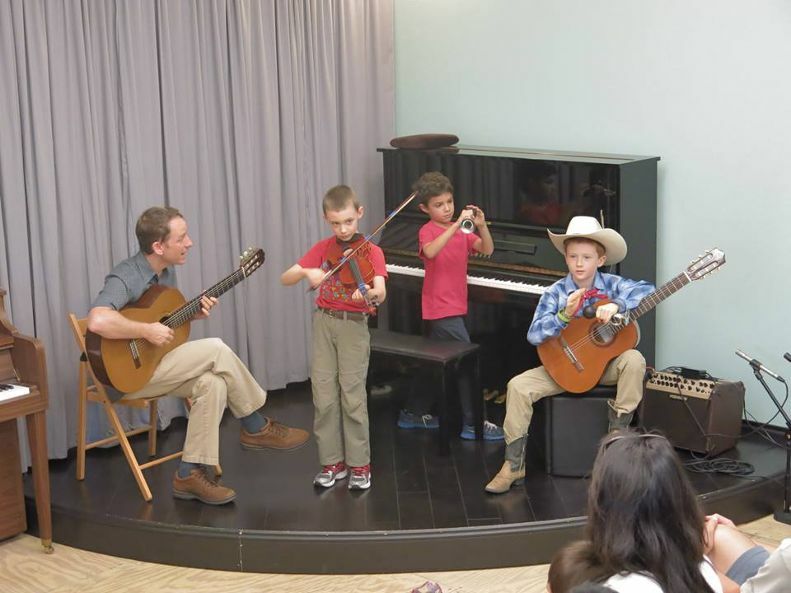 Make music with your friends and build vital musicianship skills in this popular camp. Great for students looking for their first experience in chamber music! Sign up early to help choose the movie themes! Composing for Short Film (ages 7–18, at least two years of experience required): Learn how to bring the drama on screen to life through creating your own music! 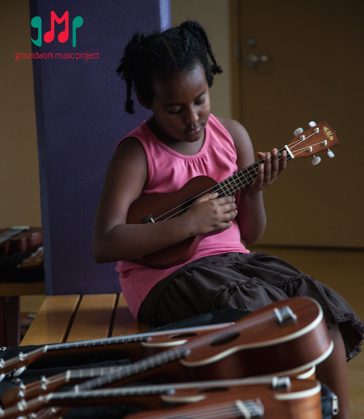 Students will choose from several short films to inspire their musical expression while outstanding composers from the Austin community guide them to create memorable melodies and harmonies! Choir and Instruments (ages 6 and up): Learn vocal techniques, breathing, movement, and rhythm in this unique choral experience that will include music from famous composers like Mozart and Tchaikovsky! Students will also have the opportunity to play instruments along with the choir, and all students will learn the fundamentals of choral singing! How many of us wonder if we could have been really great at some type of craft or skill, given an earlier start? Sherwood Forest Summer Camp attendees have the opportunity to try their hands at many crafts and skills that are no longer widely taught. Maybe your child is a natural with a bow? Or perhaps they are made for the stage, but never had a chance to be in a play before. It is amazing what a child can learn without the distractions of the modern world. Campers may choose to sleep in Sherwood Castle (yes, it’s a real castle) or in one of the Merry Folks’ Pavilions (with nightly bedtime stories). 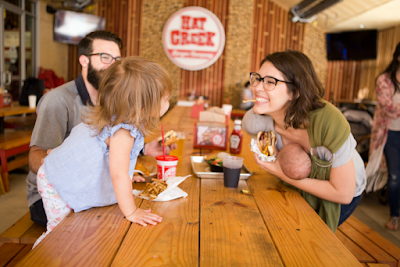 We offer a healthy, kid-friendly menu with options to satisfy even the pickiest eaters. Our catering is performed by Brou HaHa, who has a solid history of serving patrons at Sherwood Forest Faire since its inception. All of our hands-on activities take place in our 23-acre medieval village. Campers will be transported back in time to a world of knights, ladies and a simpler way of life, while learning skills essential to daily living in the medieval era. No modern entertainment devices will be available. 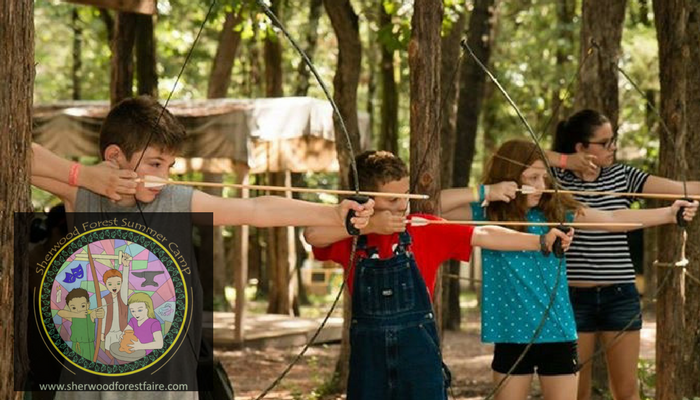 Sherwood Forest Family Summer Camp is a chance for your family to spend some quality time together, in the midst of the beautiful Nottingham Village. You’ll be exposed to numerous skills and trades of the Medieval era, which means you will be making things with your hands—and that doesn’t mean drawing a picture on your screen with your finger! Camps are so much fun with Sportball, where children can develop the skills and confidence to get in the game of basketball , soccer , baseball , volleyball , football , hockey , tennis , and golf ! Our highly trained coaches play one a day and break down skills into kid-sized bites of fun that promote the fundamentals and encourage teamwork . Older ages work towards playing real game scrimmages! Spring Break and Summer Camps! Half-day, full-day, mini camps & intensives in Musical Theatre, Acting, Singing, Visual Arts, Dance and more! Weekly sessions and every week has a different theme ! Looking for more? Star in our Summer Musical Production of Disney’s Frozen, Jr. June 3–16 at TexARTS in Lakeway—the Lake Travis nonprofit for the visual and performing arts! Experience Overnight and Day Camp in the heart of Hill Country just minutes from Austin. Camp Twin Lakes is THE popular camp in Cedar Park. 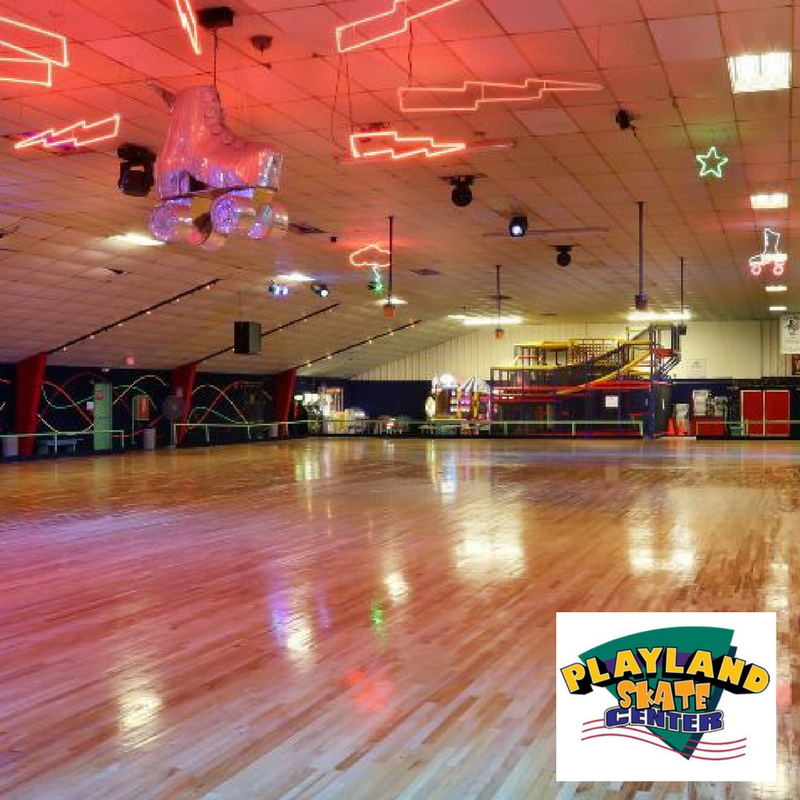 Situated on 55 acres of parkland featuring two lakes, the Wet Willie Water Slide, canoeing, kayaking, swim beach, Aqua Park, pools, archery range, paintball field, sports complex, covered pavilions and three indoor lodges. Our themed camps have the power to change the course of a summer and help kids develop in positive ways. We provide a safe, supportive and fun environment filled with new activities every day—all in the great outdoors. The Overnight Campers will enjoy three nutritious meals a day, cabins with restrooms, shower and A/C plus a fantastic covered porch. Overnight camp sessions begin on Sunday afternoon and end on Saturday morning. Multiple weeks? Use our weekend stayovers! Campers can disconnect from the virtual world and connect with friends while exploring the nature trails, doing new activities, and pushing their limits all while under the safe and supportive care of our trained counselors. To list your spring break or summer camp in the 2019 Camp Guide, please contact Catherine@LiveMom.com. The Alamo Drafthouse's annual Summer Kids Camp is a film series of screenings, designed specifically for families, that is affordable and fun for all with a mix of new favorites and classic kid-friendly films. Enjoy classic and family favorite films all summer long for just $1, $3 or $5 with all proceeds benefiting local non-profits. 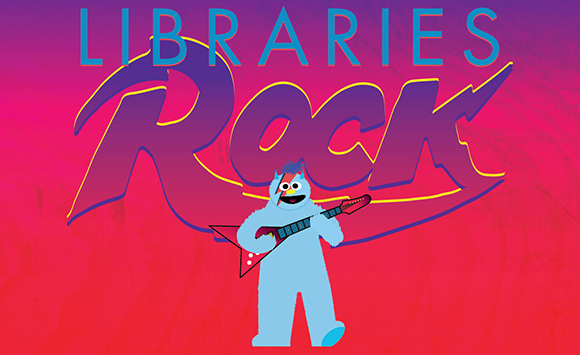 The Austin Public Library is your free ticket to a summer full of reading and loads of fun activities this June through August. You can also win prizes for reading! Pick up a reading log at the Library or print one at austinsummerreading.org. For every 20 minutes you read, color in a section. Color sections by number to display a hidden picture! Return your completed log to any of the Austin Public Library's 21 locations between July and August, 2018. Congratulations, you did it! You’ve earned a prize book. You can earn one prize book per summer. Be sure to check the Library's calendar for ongoing events all summer long. When was the last time you saw 1.5 million Mexican free-tailed bats bats emerge at dusk? One of our town's best arguments that we're still keeping it weird are the huge crowds which assemble in downtown Austin to watch these winged mammals head out to get their dinner. Austin's local Indie bookstore is a definite must-do on your summer to-do list! Air conditioning, books on multiple levels, a giant kids' space, and events, too! You can't go wrong with a visit to BookPeople. Strike! There's nothing quite like the look on your little one's face when he or she finally knocks all the pins down after watching countless gutter balls roll down the lane. Bonus: in the summer, bowling is a great way to beat the heat! CavingSometimes, to beat the extreme Texas heat in the summer, it takes going down hundreds of feet into the earth to cool down. In Central Texas, we have many options for exploring caves, most within a short drive of the Austin area. Lakes, parks and more offer kids a chance to get a little dirty in a sand pit.... some may also have some hidden dinosaur bones, too! Summer is a great time of year to go fishing with the kids. Find a shady spot, pack an ice chest with some cold beverages and wait 'til the fish bite. Beer, burgers, milkshakes, salads.... and a playground! That's right, a visit to one of the 9 Austin-area locations of this local favorite will satisfy everyone in the family. Don't miss these beautiful grounds located in South Austin. Be sure to visit during the month of June on their special Nature Nights - it's FREE and possibly a little cooler than visiting during the day! Visit with the peacocks at Mayfield Park and Preserve, an urban oasis in the center of town. In addition to the feathered friends your children will make, they can explore the shaded trails and ponds. Tip: Combine activities by visiting Mount Bonnell and the Contemporary Museum of Art at Laguna Gloria - they are all very close to Mayfield Park. Hiking up to the top of Mount Bonnell is definitely an activity best done in the early morning or late evening during the summer months. But the view at the top is well worth the sweat you'll work up to get there. Read more about what to expect and some tips for climbing with kids here. Museums in Austin Whether you're looking for art or science, history or all things presidential, Austin has a plethora of museums to choose from. 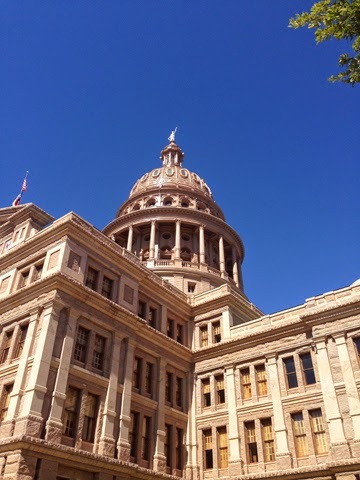 Here's a great list of museums to visit in the Austin area. 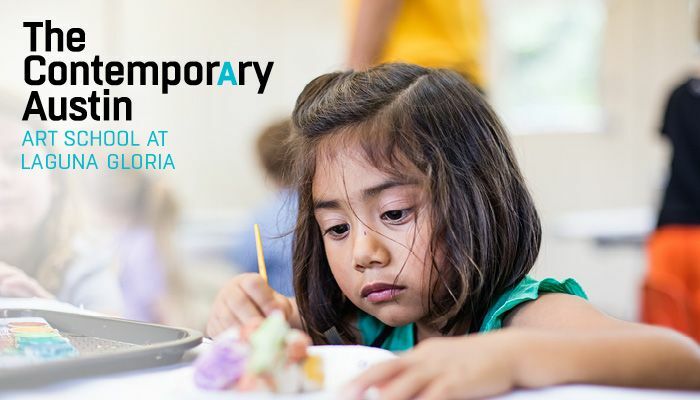 Make a hot summer day an art day by visiting a couple of art museums with the kids, then lay out paint and canvas at home so the kids can create their own masterpieces. For parents, a great way to get out of the house is by exploring parks with our kids. That said, it can be easy to go to the same parks over and over again. Why not mix it up and try out a new park? We've visited a whole lot of parks in and around Austin, and we've laid out our favorites from north to south, east and west in a special parks series. If it's an extra steamy day, check out these favorite parks that offer lots of shade in the summer. When kids have the wiggles and lots of energy, head to the Domain to visit the Austin Springfree Trampoline store. 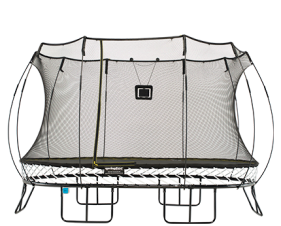 With several trampolines set up, your kids will have a blast jumping and testing out all of the cool accessories. Bonus: there's air conditioning! Exploring the stores and restaurants on South Congress Avenue is always a big hit, especially if you have some out of town visitors this summer. If you get hungry, there are plenty of restaurants to satisfy your hunger. Have some extra cash to spend? No problem! There are plenty of cool, eclectic stores to shop at. It’s a mecca of hipsters and an area that’s quite enjoyable for everyone in the family. 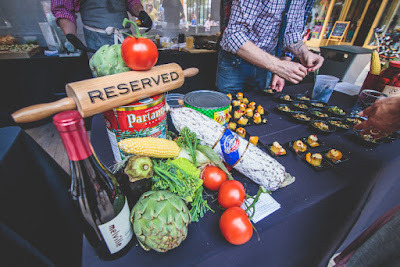 Be sure to head down to Congress Avenue on the first Thursday of each month (weather permitting) to enjoy vendors, local artisans, live music and more. Who says you can't combine fun and learning while on summer break? Not us! Take the kids to explore the Texas State Capitol - they'll learn all about Texas history, politics, and you can even grab a bite to eat in the basement cafeteria. Read more about taking a tour of the Capitol here. 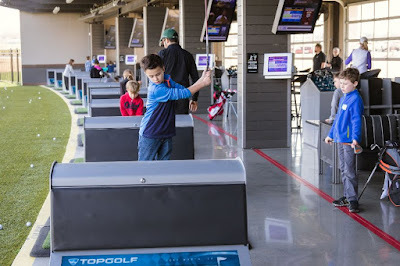 Topgolf is an entertainment venue in north Austin offering point-scoring golf with over 100 climate-controlled hitting bays, with an on-site restaurant and bar. 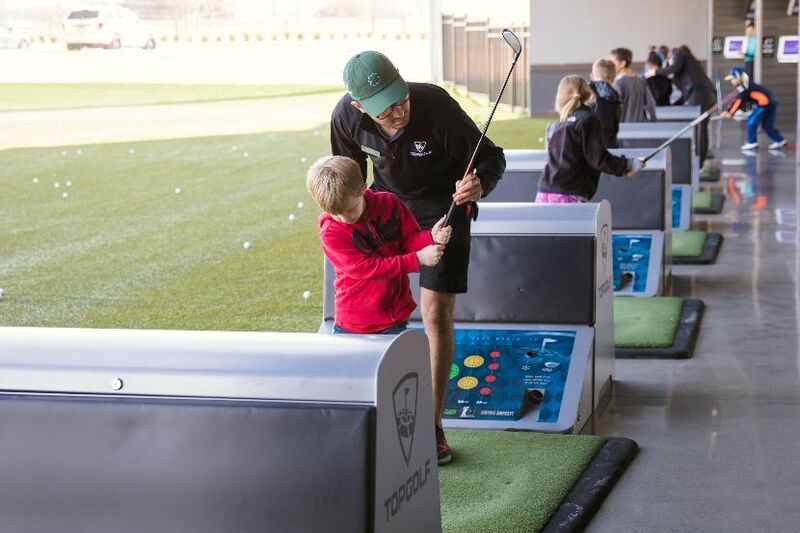 If your kids love golf, Topgolf Austin is once again hosting Summer Academy, a week-long half-day program for kids ranging from 6 - 12. Summer Academy is a fun way to stay physically active, mentally active and engaged with the community all while learning a great skill. When you think botanical gardens, you think plants and flowers, right? But the Zilker Botanical Garden is much more - ponds, dinosaurs, wildlife, butterfly habitats and more! Kids of all ages love this beautiful space. Austin's favorite summer tradition is back. 93.3 KGSR's Blues on the Green invites music lovers out to Zilker Park to enjoy a family and pet friendly night of homegrown music in a relaxed atmosphere. Grab your family, friends, dogs, and blankets, and join us for Austin's largest FREE concert series. Read some tips on attending Blues on the Green here. When: Saturday and Sunday, June 3 - July 1, 11 a.m. When: Wednesday mornings, June 6 - July 25, doors open at 10 a.m.
Bubblepalooza, the Long Center's official start to summer returns on Saturday, June 9, 9 a.m. – 1 p.m. The kick off to their All Summer Long series of free community events, this annual celebration of open play on the Long Center’s front lawn is perfect for families of all ages, with live music, games, arts + crafts, trailer food, and of course—tons of bubbles! When: Saturday, June 9, 2018, from 9 a.m. - 1 p.m. When: June 9, July 14, August 11, 11 a.m. - 3 p.m. When: June 15, 7 a.m. - 7 p.m. When: Saturday, June 16, 11 a.m. - 4 p.m. Cost: Children's entertainment and music will be free. Food samplings and VIP access will require wristbands. Beer and wine will be available for purchase at select restaurant booths. Wristbands include 10 tastes will be available for $20 at The Domain’s Simon Guest Services or at the event. VIP experience will be offered for an additional $15. Commemorate the United Nations' World Refugee Day at the Bullock Museum with a naturalization ceremony, free samples of world cuisine, live music, and activities for families with kids of all ages. Master of Ceremonies, Greg Ciotti, is representing KOOP Radio's Community Council whose charter is to highlight individuals and organizations that are giving back in our community. When: June 16, 11:30 a.m. - 3 p.m. When: Saturday & Sunday, June 23 - July 1, 2 p.m. When: Thursday - Sunday, July 6 - August 18, 8:15 p.m. Cooking is an activity the entire family can enjoy together! 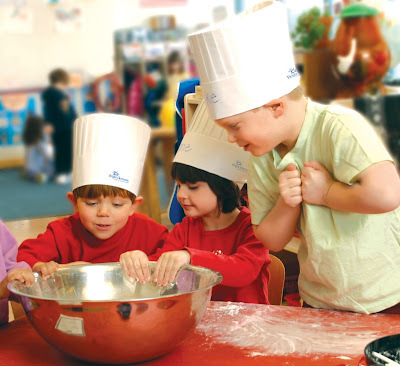 When little chefs cook and help select their food, they not only learn healthy habits and expand their palates, but they also are exposed to scientific exploration as they combine different ingredients and see how temperature affects food. Bright horizon's very own Chef Darrell will be leading families in a cooking workshop where they will prepare an appetizer, main course, and dessert. All children who attend will receive a Bright Horizons apron. This workshop is geared towards children 2 – 6 years old. Spaces are limited! Please RSVP to Westlake@brighthorizons.com with your name and number of attendees. The primary focus is on the process of making art rather than finished product. Research shows that providing children with open-ended activities promotes creativity. Ultimately, at this camp we focus on developing creativity, collaboration, patience with the process of bringing a vision to life, and a love for learning. Each child needs a firm foundation in the Elements & Principles of Art as well as basic technical skills. We will spend time each day on an activity that develops these skills so that our students can strengthen their artistic practice. Mindfulness is an important part of a creative practice. We begin each day with quiet reflective moments and journaling activities that promote self-knowledge and emotional well-being. South Austin Whole Life Learning Center, 10801 Old San Antonio Rd. The Creative Side family is excited and honored to open up this world of jewelry making and these ancient techniques to your budding artisan. The gratification the students receive after creating their own design from start to finish is irreplaceable. Creative Side hosts an end of the week art show to be named and set up by the kids. Parents, family and friends will be invited to join us at the end of the day on Friday to meet the instructors and new friends, and view students' artwork on display. Empowerment Network's summer day camp, campGEN, serves girls in entering grades 3–8. campGEN girls participate in fun, interactive workshops during two week-long sessions that are designed to ignite the power in girls and teach them skills to thrive and believe in their ability to be unstoppable. In part 1, "Own My Power," girls will be owning their power, exploring stress management, identity, self-compassion and body positivity. In part 2, "Use My Power," girls will explore confident communication, advocacy, healthy friendships and values. 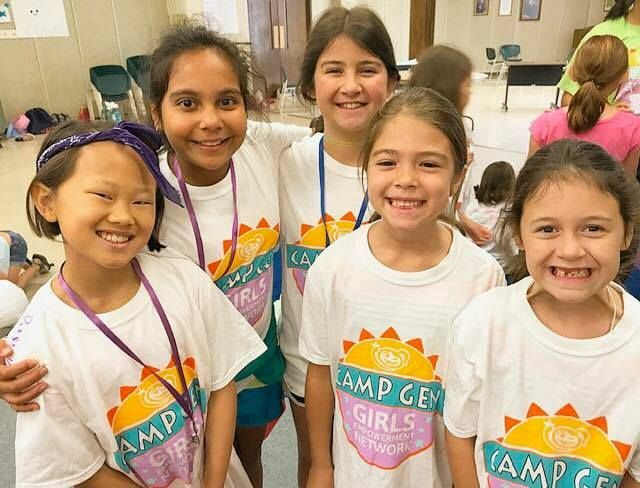 Girls who join campGEN will gain new skills, new friendships and a new sense of self! Imagine a world where superheroes are real. Where pirates are friendly and every little girl is a princess. Imagine life in the farthest reaches of space or becoming a rock star. Imagine a place where children can keep it weird. Camp Jump! offers 1-week half-, full- and extended-day opportunities for children to explore their imaginations through theme-based curriculum featuring gymnastics, art exploration, interactive centers, social integration, dramatic play, yoga, music, dance and now field trips. 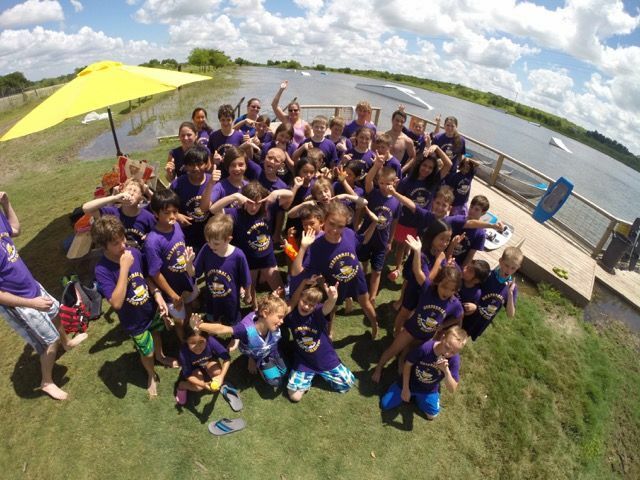 Voted Austin Family Magazine's "Most Fun Camp" in 2011, ​2014 and 2015. ​​Come find out why! Join us for musical summer fun at Orpheus Academy of Music! Our camps provide an enriching experience for children of all ages and abilities. With experienced, degreed teachers, new activities every 30 minutes and a variety of camp choices, you'll have the most rewarding adventure of the whole summer! 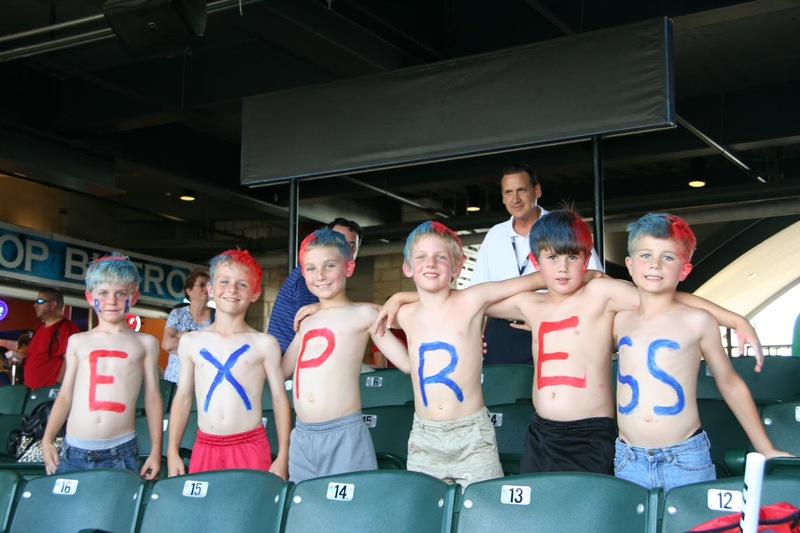 Join TexARTS this Summer for a full schedule of camps offered to all ages! Light up the stage and enroll in the Youth Summer Musical of Shrek, Jr - a production based camp culminating to 5 live performances on our main stage (All Ages, June 11-24)! Also offering week-to-week Performing Arts Camps featuring a different theme each week including popular titles like “Best of Hamilton”, “Best of Moana” or “The Wizarding World of Potter”, just to name a few (Ages 7-12)! Other camps include Fantastical Sculpting, Minecraft, Pupeteering the Henson Way, Improv Comedy Camp, Ballet & Dance Intensives and much more! Summer Spark day camps are designed to shift your child's mindset to embrace problem solving and failure through weekly hands-on challenges. Synergy Dance Studio offers preschool and school-age camps as well as dance intensives for the more experienced dancer. Themed summer dance camps are limited in size and are grouped by age and ability. 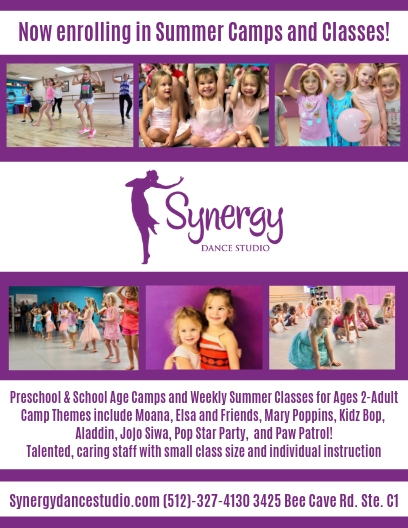 An Austin dance studio that offers summer camps to ages 3 and up, Synergy Dance Studio strives to provide children with solid technical training as well as an enjoyable and creative dance experience. We offer all levels of training, beginning through pre-professional. Our focus is promoting self-discipline, self-respect and most importantly self-confidence. Space is limited and camps will fill up, so reserve your space today. Topgolf Austin is once again hosting Summer Academy! This is a week-long half-day program for kids ranging from 6 - 12. Choose from 11 different weeks and let our academy be tailored to your summer! Topgolf Summer Academy is a fun way to stay physically fit, mentally active and engaged with the community all while learning a great skill. Contact: 512-250-9622 option 6 To list your spring break or summer camp in the 2018 Camp Guide, please contact Catherine@LiveMom.com.